Promise Rings, Commitment Rings, Couple Rings – There are many names to describe them, but the significance stays the same. They show that you are serious about your relationship and see a future together, without necessarily talking about engagement or marriage. These two rings are each one half of a normal rounded ring. When you put them together, they complete each other. 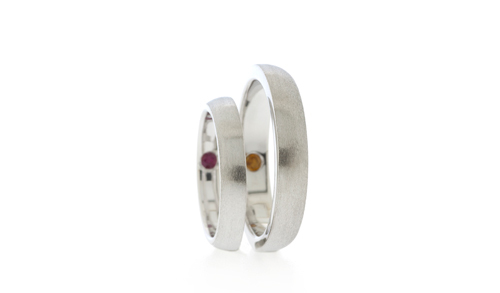 Each ring has a Birthstones placed inside, symbolizing the person that they are committed to. How would you show your commitment to your partner? Nice Couple Rings. I appreciate your job. Thanks for sharing. 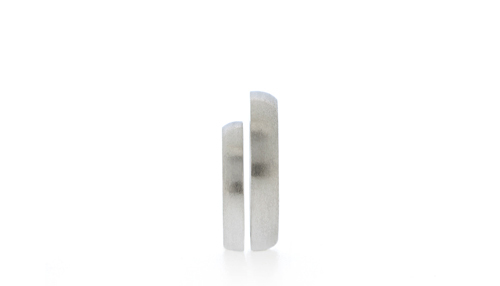 Lovely couple rings, simple yet elegant. Thanks for sharing, its highly appreciated. Nice article. Thanks for sharing. An engagement ring is a symbol of the commitment and lifelong relationship .It means the couple was believed to be joined at the heart.